There are times when I forget how pleasurable it is, to just draw! 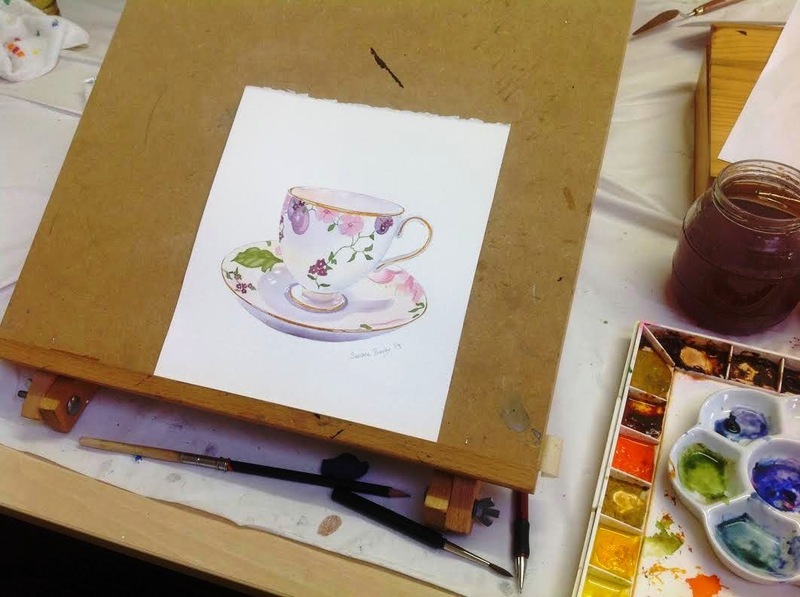 I enjoyed drawing it so much that I broke out the watercolours and did another version - after all, how can we have tea and scandal when there is no one else to enjoy it with! So, I have got the drawing bug again, but I haven't stopped painting of course! In fact, I have just handed over my large bear commission and I couldn't have wished for a happier client! Their reaction made all the stress that comes with a commission well worth while! Hopefully I can share the painting with all of you soon. Anyway, as I mentioned in my last post, blogging will be sporadic for a while as Christmas approaches... I'll be back as soon as I can! 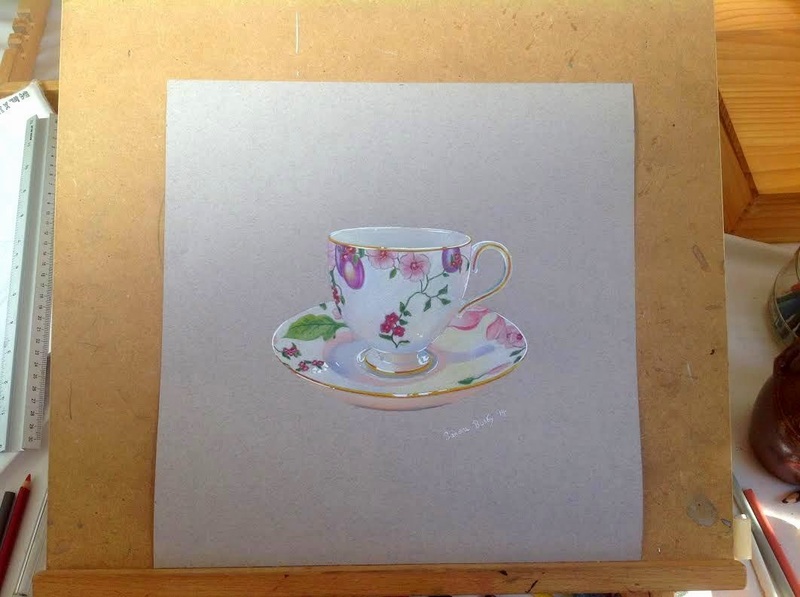 I really love this piece but it's defintely more than just a drawing - it's beautiful and i love how you got the gleam of reflection on the white part of the china. I'm not in the least surprised that the recipient loved the bear piece-can't wait to see it. That looked so real.. Amazing..
Fabulous drawing, it almost looks real! Love the watercolour too! 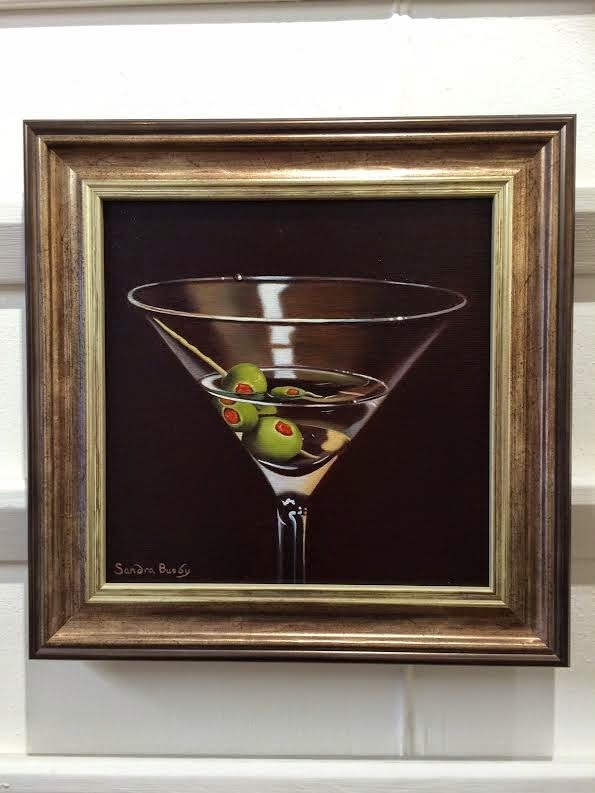 The frame for the cocktail painting is perfect. LOVE IT...LOVE IT!!!! OMGosh, Sandra .. it's a fabulous drawing! It's so realistic !!!! and your cocktail glass looks fantastic framed! I look forward to seeing your commissioned piece..
Tu es si talentueuse, et tu excelles dans toutes les techniques picturales ! Je te souhaite une bonne semaine, et un joyeux Noël. Merci Olivier, vous êtes si bon! 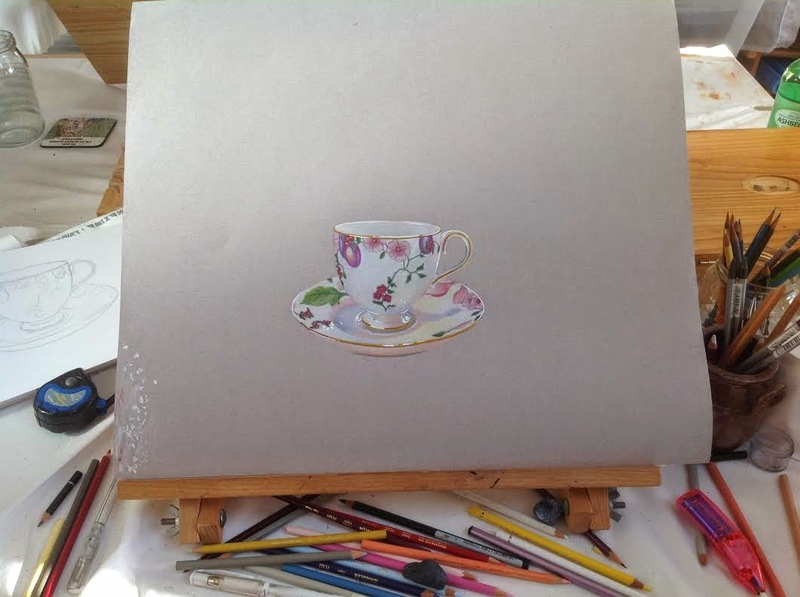 En attendant ce jour vivement, je suis heureuse aujourd'hui d'admirer cette belle tasse et sa soucoupe... J'aime beaucoup son rendu au pastel qui n'enlève rien à ton aquarelle tout aussi exquise et délicate. Ton verre avec le cocktail est sublime et il l'est encore davantage avec ce beau cadre. Je te souhaite un Joyeux Noël ☃ ainsi que tous mes voeux pour l'année 2015 afin que tout soit compris y compris le bonheur pour toi et tous ceux que tu aimes. Vous êtes si gentil, merci. Je aimerais profiter d'une tasse de thé avec vous aussi! Je espère que vous avez un merveilleux Noël et un Nouvel An heureux, saine et créative!